Do you remember a few weeks ago when I told you you’d thank me for sharing a soup recipe? Well if it wasn’t already, it definitely is soup weather now and I just can’t help myself– I haven’t wanted to make anything but soup lately! 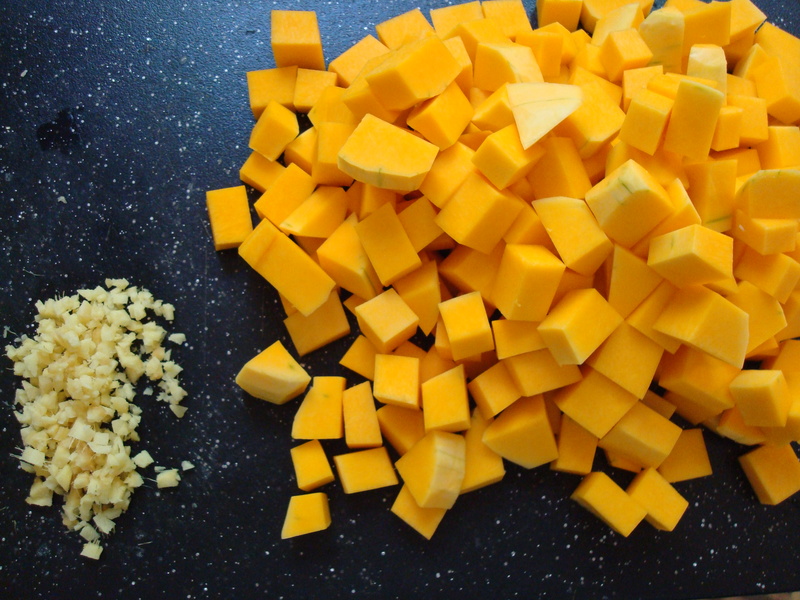 This time it involves butternut squash, red lentils, ginger, and curry. 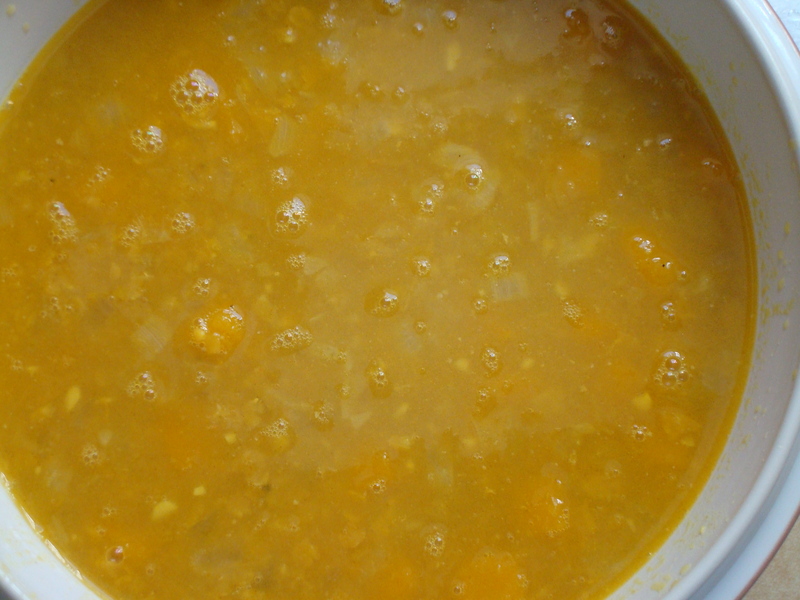 The ginger adds warmth to the soup and the lentils make it hardy so that it can be the main course and not just a starter. Butternut squash is just starting to show up at farmer’s markets in these parts so when I saw it a few weeks back I had to pick some up and do something with it. The soup is already vegetarian but could easily be made vegan with the omission of the butter. I personally think that cooking the onions in olive oil and butter is luxurious but it would certainly still work without it. Heat oil with butter in a large heavy pot over medium heat until foam subsides, then cook squash, onion, carrot, celery, garlic, ginger, and 1 teaspoon salt, stirring occasionally, until vegetables are softened and beginning to brown, 15 to 20 minutes. 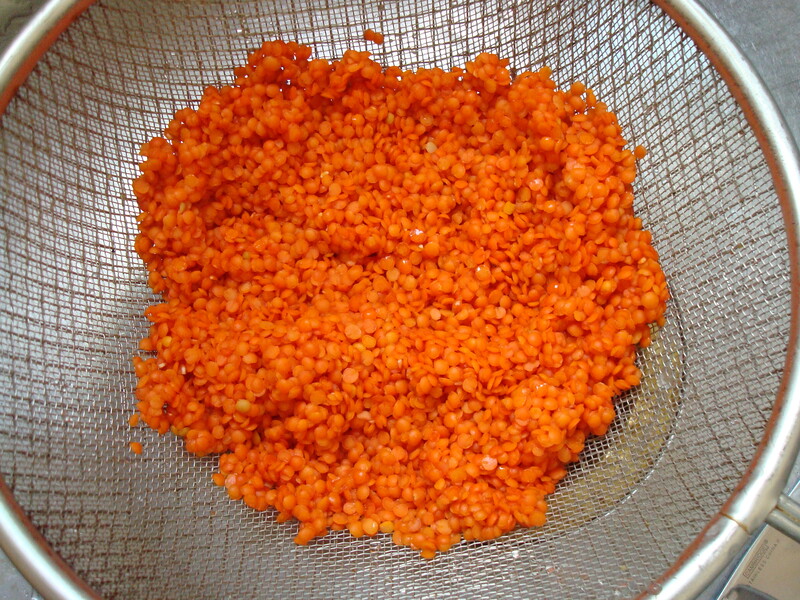 Add lentils and water and simmer, covered, until lentils are tender, 25 to 40 minutes. Stir in lemon juice and season with salt and pepper.